Little Big Farm, Blairstown, NJ – Organic Cut Flowers For Weddings / Special Events » Spring Arrival – Ms. Eugenia Alcorta! Spring Arrival – Ms. Eugenia Alcorta! We are very happy to introduce our intern this year, Eugenia Alcorta! Eugenia is currently a student at the School of Professional Horticulture at The New York Botanical Garden. She will be with us until the end of June. Eugenia has a passion for learning all about flower farming and floral design and we are so delighted to have her! 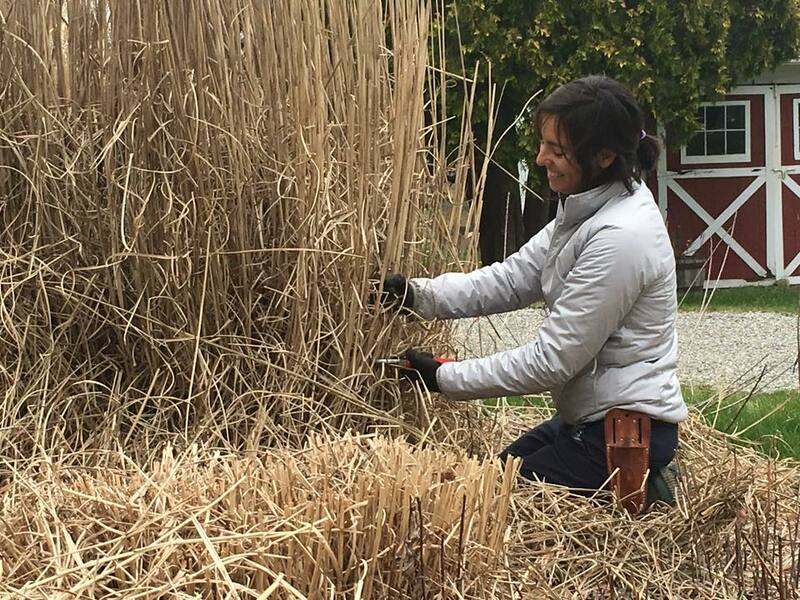 Her family owns a 30-acre farm in Argentina so she knows what it takes to make a farm work and we are looking to learn a lot from her as well. 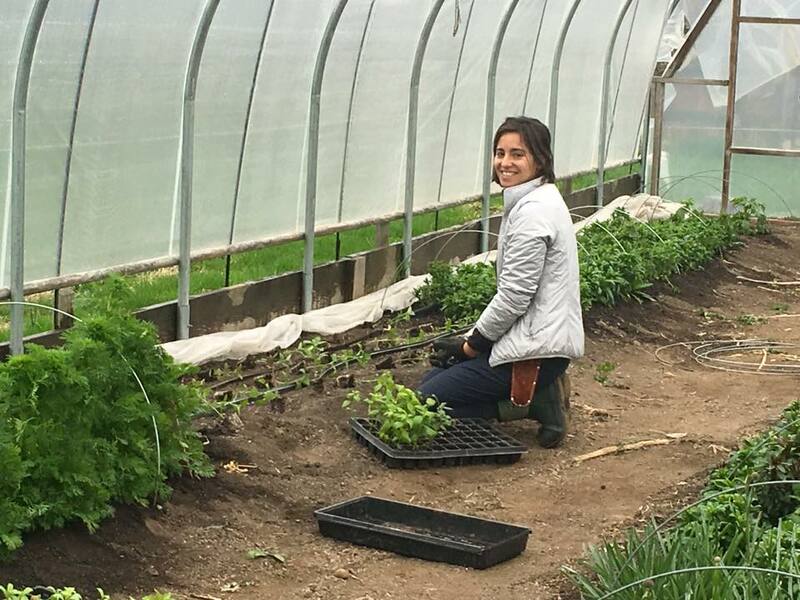 Eugenia has already demonstrated the true grit of flower farmer as she braved a very chilly start to the growing season with temps barely getting into the forties this week. We look forward to the warmer days ahead and for her first blooms to take root in the fields. Horticulturist Patricia “Patti” Kraemer-Doell has been the owner and operator of Little Big Farm since 2006.